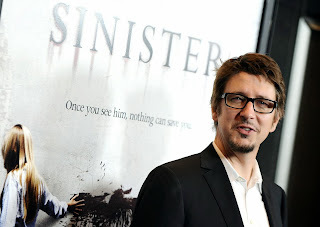 Rupert Pupkin Speaks: Favorite Underrated Horror - Scott Derrickson ""
Scott Derrickson is a director and writer of cinema you know. He just recently made SINISTER which is a highly creepy horror film and perfect for this time of year. He's also responsible for the equally unnerving EXORCISM OF EMILY ROSE which screwed me up big time when I first saw it(I'll never feel the same about 3 AM again!). He further directed the 2008 remake of THE DAY THE EARTH STOOD STILL and co-penned Atom Egoyan's new film DEVIL'S KNOT. His next feature is BEWARE THE NIGHT which is supposed to be out in 2015. In a recent interview on KCRW, Producer Jason Blum(Of Blumhouse) mentioned Scott's name(in the same breath as Eli Roth, Quentin Tarantino, & James Wan) as being a guy that is truly a horror guru. His list below reflects that and the fact that he is a cinephile with varied tastes. I really dig this list a lot as it runs the gamut from classic horror to present day and exemplifies some very interesting movies. I am honored to have it here as part of this series. 1. BEGOTTEN (1990) This experimental horror film is hard to describe, and equally hard to find. There has never been another film that is remotely like it. BEGOTTEN tells the Biblical story of Genesis, but as a hideous, shocking, and beyond-surreal nightmare poem. The great writer and film critic Susan Sontag called it one of the 10 most important films of modern times. 2. ONIBABA (1964) – This classic Japanese horror film is a Buddhist morality tale. ONIBABA – literally translated “demon woman” – never shocks, but rather haunts with the ominous atmosphere of its seductive natural environment. A chilling and beautiful work of horror art. 3. 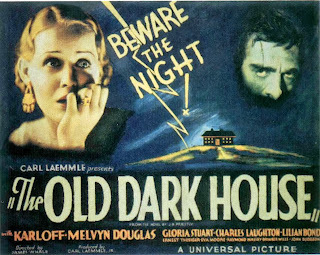 THE OLD DARK HOUSE (1932) – The great granddaddy of all old dark house movies. Director James Whale - most famous for FRANKENSEIN, BRIDE OF FRANKENSTEIN, and THE INVISIBLE MAN - might have been equally famous for this masterwork, except that it was literally unavailable for anyone to see for decades. Creepy, atmospheric, and laced with a sly, ahead-of-its time, self-mocking wit. Easily my favorite James Whale film. 4. 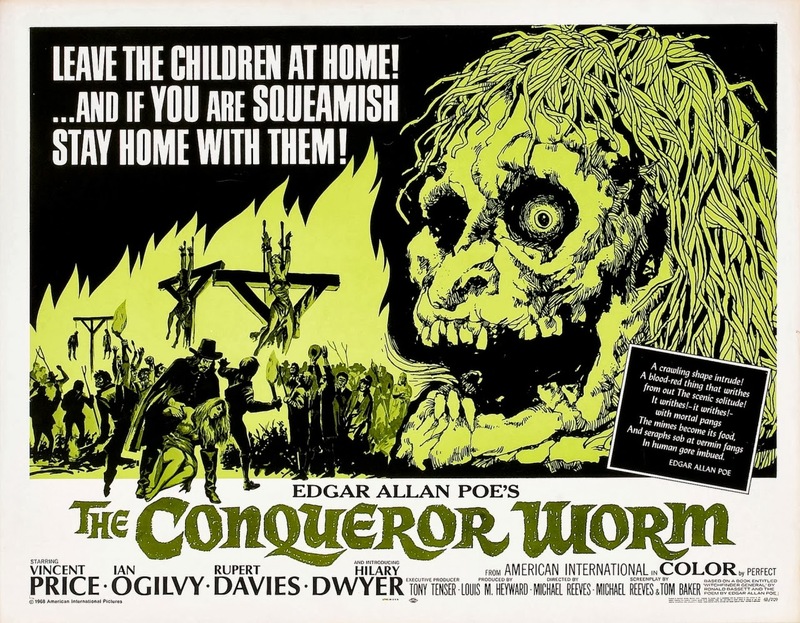 WITCHFINDER GENERAL (AKA THE CONQUERING WORM) (1968) – One of Vincent Price's lesser seen and talked about films, this is as much a historical drama as it is a horror film. Set in East Anglia during the mid-17th century, this film explores historical Catholic witch-hunting with 1960s enlightenment. 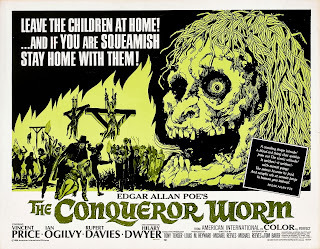 For it’s time, WITCHFINDER GENERAL dolls out a surprisingly brutal portrayal of self-righteous, religious torture. 5. THE LAST WINTER (2006) . 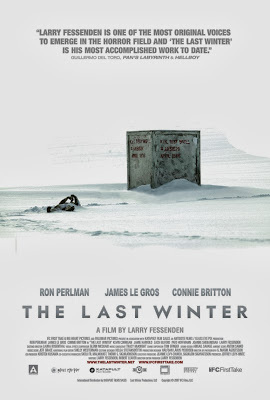 An ambitous and smart eco-horror film by Larry Fessenden. It's genuinely suspenseful, and is my favorite horror use of the arctic setting since Carpenter's THE THING. Highly atmospheric and impressively visual, especially given its limited budget. Great choices! 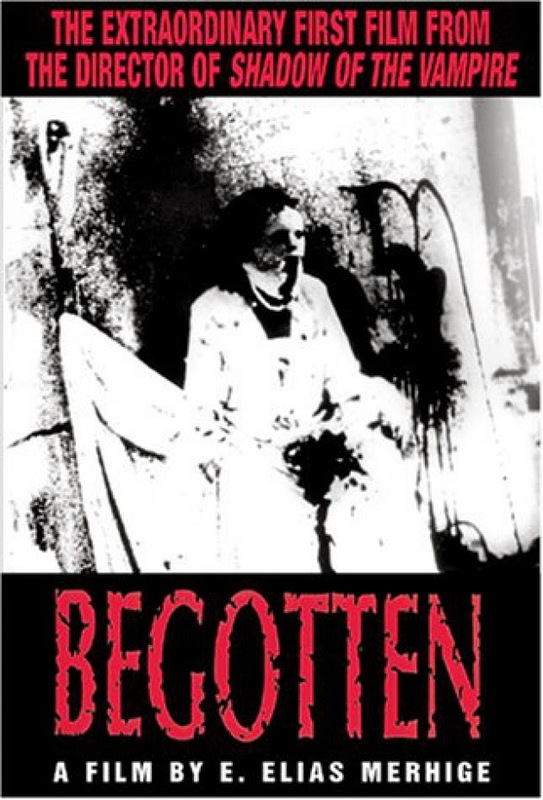 I'd forgotten about "Begotten." "Onibaba" is also on my forthcoming list. That makes three of mine that have already appeared; either I have common tastes or I chose well!